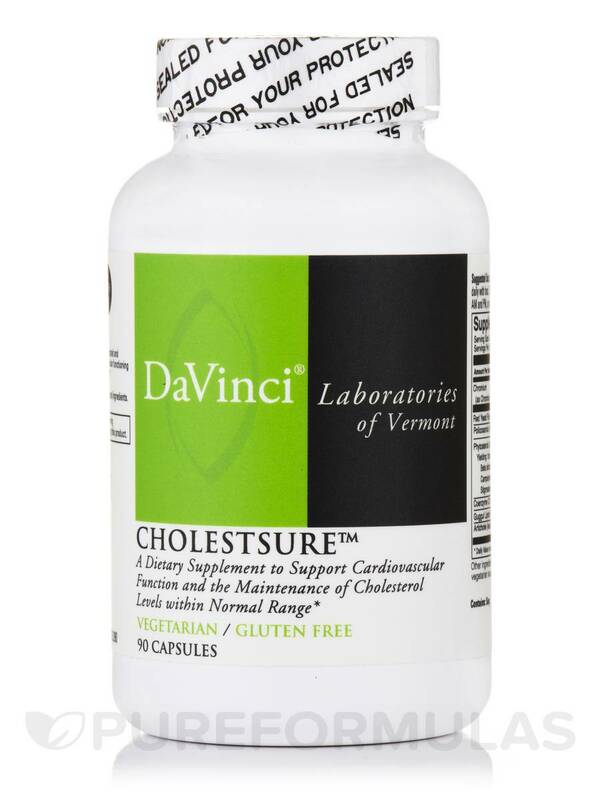 The CholestSure by DaVinci Labs greatly lowered my cholesterol and triglycerides by at least 10-20 points. My doctor was highly inpressed. CholestSure by DaVinci Labs has lowered my total cholesterol from 220 to 187. I find that impressive when diet and exercise did not get the job done. 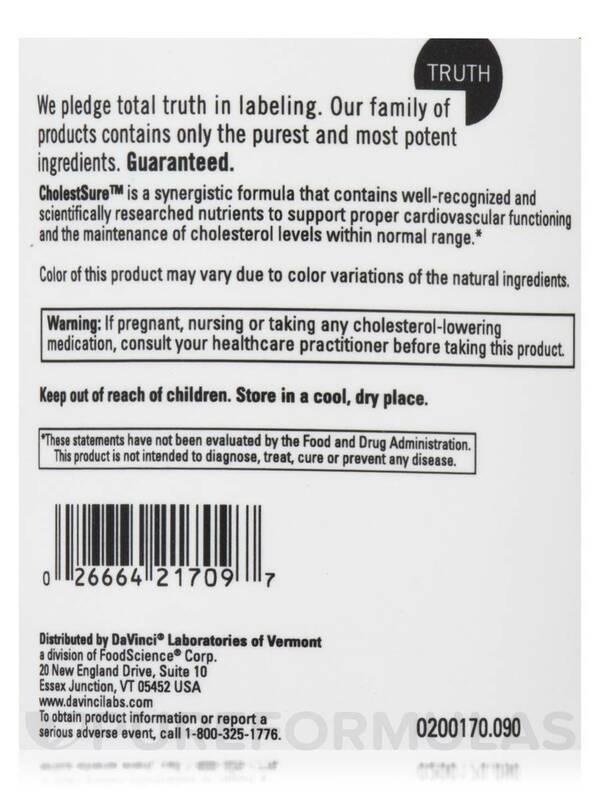 I have been told that CholestSure by DaVinci Labs is good for reducing and or maintaining healthy cholesterol levels without the nasty side effects of statin drugs. 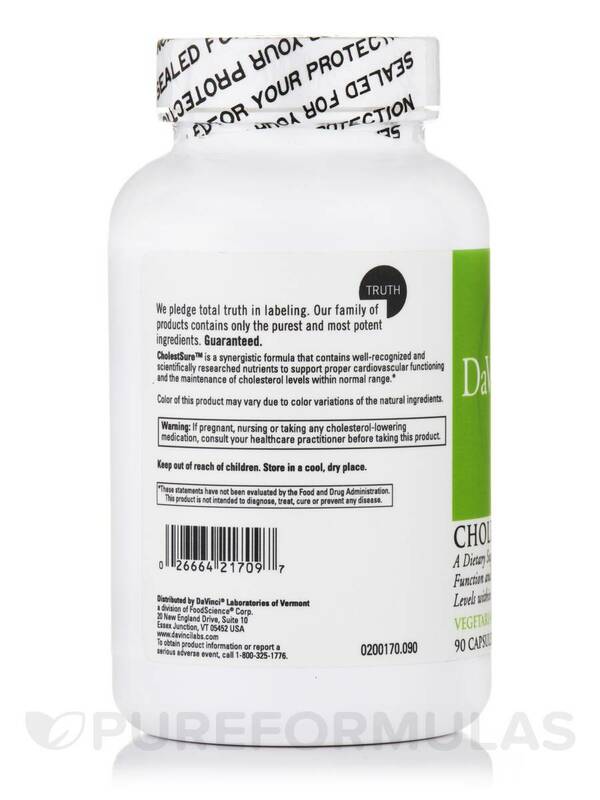 CholestSure by DaVinci Labs is a dietary supplement that was designed to support your cardiovascular system while helping the body maintain normal cholesterol levels. DaVinci’s CholestSure is made of a unique combination of Red Yeast Rice‚ Photosterols‚ Policosanols‚ Coenzyme Q10‚ EPA‚ Chromium Polynicotinate‚ Guggul lipids and Artichoke leaf extract. 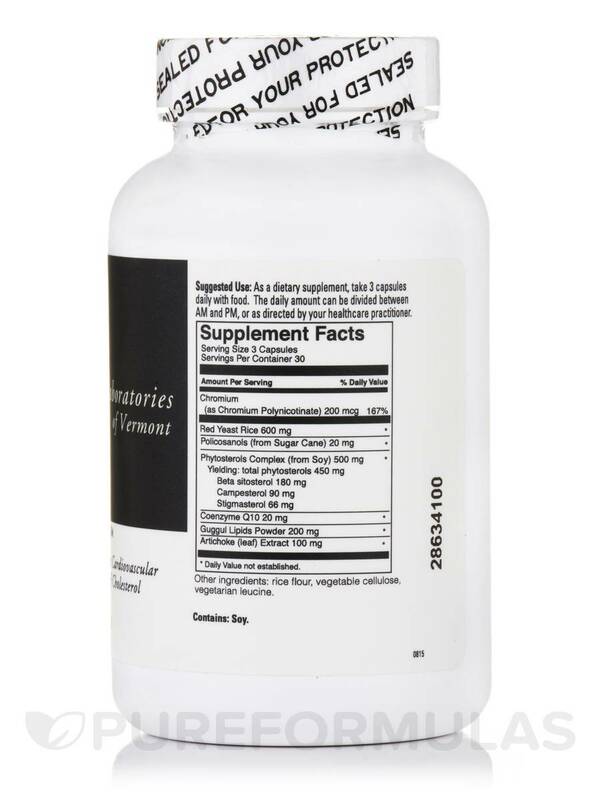 This supplement makes a great addition to any healthy diet and exercise program designed to maintain healthy cholesterol‚ HDL and triglycerides. Chromium Polynicotinate – Chromium is a metal and an essential trace element‚ meaning that small amounts are required to maintain good health. It is used to help control blood sugar in those with prediabetes and type 2 diabetes. 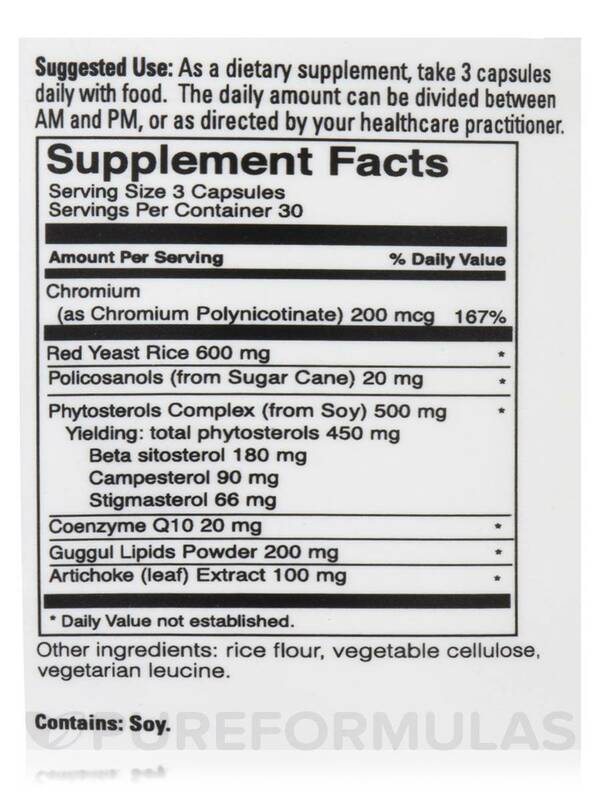 Chromium is also used to treat polycystic ovary syndrome (PCOS)‚ raise good cholesterol and treat depression. Some use chromium for weight loss and to increase muscle mass. Policosanols – The policosanols in CholestSure are derived from sugar cane. Policosanols are a natural extract of plant waxes that are used to help lower bad cholesterol and raise good cholesterol. Photosterols – Photosterols are similar to cholesterol in plants. CholestSure gets its photosterols from soy. They are believed to absorb bad (LDL) cholesterol. Coenzyme Q10 – Coenzyme Q10 is produced by the body‚ but it diminishes with age and with certain medications. People with high cholesterol tend to have low levels of coenzyme Q10‚ which can affect the memory in addition to other things. EPA – EPA is an omega-3 fatty acid‚ found in fish oil‚ that has been shown in many studies to lower bad (LDL) cholesterol levels. Guggul lipids — Guggul lipids are made from the sap of the Commiphora mukul tree‚ which can be found in India. Guggul has been used in Ayurvedic medicine for centuries to treat various ills‚ including heart disease. Today‚ it is most commonly used to treat arthritis‚ high cholesterol‚ acne and other skin diseases‚ weight loss and atherosclerosis (or hardening of the arteries). Artichoke leaf extract – The extract of artichoke leaves has been used for many years in holistic medicine to treat people with high cholesterol. One recent study of 140 people with high cholesterol showed that supplementing with this herbal extract daily was found to lower total cholesterol levels by as much as 18 percent. Researchers believe artichoke leaf extract is effective due to its content of luteolin and other beneficial flavonoids. As with any cholesterol-lowering regimen‚ you should make a serious effort to change your diet while on CholestSure. Although supplements can be effective on their own‚ you’ll get the best results by eating a diet that is not rich in high-cholesterol foods‚ such as meat and dairy. Other ingredients: rice flour‚ vegetable cellulose‚ vegetable leucine. Contains: Soy and Fish (cod‚ menhaden‚ sardines & anchovy). As a dietary supplement‚ take 3 capsules daily with food. The daily amount can be divided between AM and PM‚ or as directed by your healthcare practitioner. If pregnant‚ nursing or taking any cholesterol-lowering medication‚ consult your health care practitioner before taking this product. This product contains lead‚ a chemical known to the State of California to cause birth defects and other reproductive harm. This is what my doctor recommends. CholestSure by DaVinci Labs has helped us from having to take cholesterol drugs, and maintain a pretty decent level when combined with proper diet. Cheaper than drugs and healthier. Works great. CholestSure by DaVinci Labs is a very good alternative for my husband who started using a prescription drug. CholestSure was recommended by my nutritionist. Works as well as any prescription medication without the side effects!!! I take 2 pills once a day and my cholesterol has dropped dramatically. Now in normal range. I am taking CholestSure by DaVinci Labs about 4-5 years doing like 3-4 month and then take something else then return back to CholestSure for 3-4 month and e.s.I heart about it in doctors office. But the problem is when I start taking CholestSure first time it works unbeliveble but now doesn work really good. I still taking and will continue-I belive if I take more seriose cholesterol itll work. I like all ingredients -well known and very good. It lowers my cholesterol levels. Whats not to like? Natural way to reduce cholesterol.